The East Lansing Public Library is home to a fascinating mural, named Michigan Folklore Mural, created by the late author and painter Dirk Gringhuis. 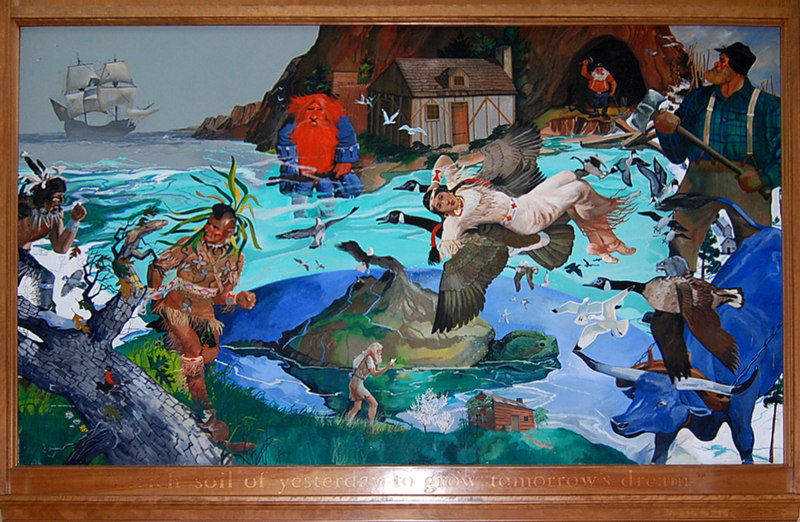 Gringhuis, an East Lansing author and painter, contributed the Michigan Folklore mural to the East Lansing Public Library. 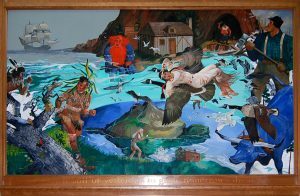 After doing research in depth, in 1963 he painted the mural and wrote the legend about our folklore. Dirk's first books included Hope Havenopens a new window, Tulip Time,opens a new window and Here Comes the Bookmobileopens a new window. In 1952 he moved to East Lansing, where he completed his first junior novel, The Young Voyageur, a story of early fur trading in Michigan. Two of Gringhuis' books were published by the Michigan State University Press.